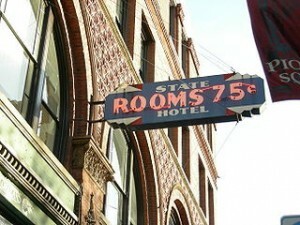 Seattle contacts for lodging and accommodations, activities, restaurants, and fun things to do in Seattle Washington. Seattle is a fantastic city to visit and you’ll want to choose from the best places to stay, play, and eat while visiting. This is just a small list out of many of the great hotels, restaurants, and activities that are available, but it’s a great place to begin planning your tour of Tour of Washington State. The Edgewater Hotel – on the pier! Charters Northwest – Seattle based with 21 coaches features clean, comfortable, and large-windowed vehicles. Seattle-Tacoma International Airport – Find traveler updates, passenger services, dining options and more at the Port of Seattle Sea-Tac Airport website. Airport Parking Savings – Save up to 66% off as compared to parking at the airport! The Seattle CityPASS is a great way to see some of Seattle Washington’s main attractions. You’ll save 45% off of 5 different attractions, skip most of the ticket lines, and get nine days to use the pass from first day you use it!